On the morning of 28 November 1979, Air New Zealand Flight TE901 left Mangere airport, Auckland, for an 11-hour return sightseeing flight to Antarctica. 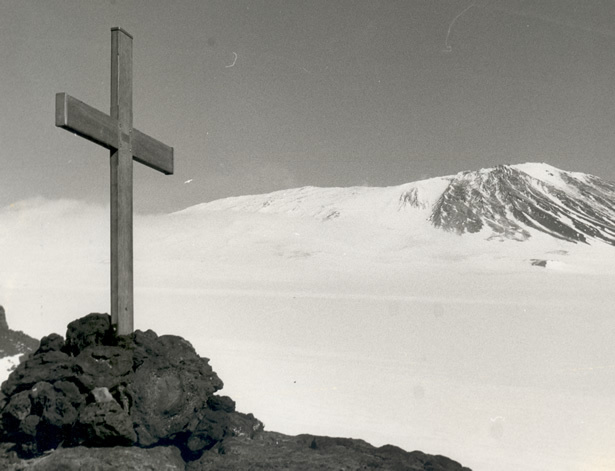 At 12.49 p.m. (NZST), the aircraft crashed into the lower slopes of Mt Erebus killing all 237 passengers and 20 crew on board. It was the worst civil disaster in New Zealand's history. Search and rescue aircraft in Antarctica were activated but it wasn't until midnight (NZST) that wreckage was sighted on the lower slopes of Mt Erebus. Final confirmation that there were no survivors came later the next day. Professionals and volunteers from Antarctica and New Zealand took part in difficult and often harrowing investigative, recovery and identification operations. Debate raged over who was at fault for the accident. The chief inspector of air accidents attributed the disaster to pilot error. Justice Peter Mahon’s Royal Commission of Inquiry disagreed, placing the blame on Air New Zealand and its systems. The controversy continues. We have 1 event in history, 10 articles, related to Erebus disaster.